Focusing on organic search rankings makes a lot of sense: highly strategic content with search intent-driven keywords is an unquestionable win. There’s a problem, though: it can take months or even years for results to happen. A study from Ahrefs shows that only 22% of pages that rank in the top 10 were created in the last year. With the fact that your ranking depends on over a hundred ranking factors, it’s hardly the quickest way to see the ROI from your content. Another challenge is the decline in social shares an average piece of content gets. The median share number fell from 8 in 2015 to just 4 in 2017; even the brands don’t share their own content more than a couple times! It’s also likely that “dark” shares—those through emails and instant messaging—now take up to 65% of all social sharing, which is both hard to measure and predict. Your emails are opened by around 25% of all recipients. No matter how much your list grows, its impact will always be limited to its quarter! Finally, we don’t have full control over content reach from organic shares, search rankings, and PR outreach activities. Results depend on unique use cases and the target market. We can’t impact the makeup of someone else’s audience or analyze how their post performed. While it’s possible to track upticks in traffic from a certain source, namely social channels and referring websites, advanced analysis is next to impossible because you couldn’t have tagged the shared links with campaign-specific terms. All this isn’t to say that organic efforts shouldn’t be done at all. Instead, the most successful content promotion strategy is a healthy mix of long-term organic efforts and a targeted promotion fueled by paid distribution. The unique benefit of paid promotion is in its strategic, hyper-focused distribution of content. You could have an audience of 100,000 readers, or you might be starting from scratch—it works either way and here are the steps to make it happen. The target persona approach has been around for a while, and for a good reason: the best content has always proven to be the one that feels like it was written for a specific person in a particular situation. If these details aren’t immediately obvious, schedule some time with your sales and customer support teams to ask them about the typical conversations they have. Also, if possible, conduct surveys or interviews with your best customers—those who have been with you the longest, paid you the most, and have been the most satisfied—to learn their answers to the above questions. Knowing where your audience hangs out online and how they make their decisions will prepare you for the next step and pay off long-term when the time comes to execute each paid distribution campaign. Now that you know the key online behaviors of your target persona, it’s time to dive into the advantage of each platform for the specific audience and behaviors you listed above. Facebook: First, learn about what drives reach and engagement with your audience by digging into Facebook Insights—specifically, the People tab—and look for common threads in formats and topics that sparked high performance. Then, dig into Facebook Audience Insights to find the interests, connections, platform activities and much more for your target audience. Twitter: Get to know your audience’s interests, buying styles, income categories and basic demographics through Twitter Analytics. Look for posts with higher reach and engagement and note why they may have stood out. Get familiar with all the targeting capabilities on the platform, like interest, behavior, and keyword targeting. LinkedIn: Analyze your visitors, updates, and followers through the Analytics tab. 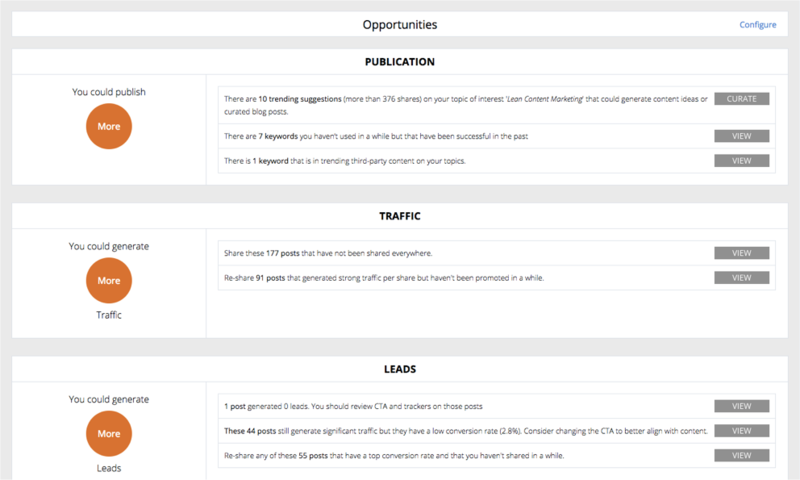 Look through individual post engagement and analyze follower sources and demographics. Then, learn about LinkedIn’s ability to promote content to professional audiences. Paid search: Look at your typical buyer’s journey and write down 5 main questions your potential customer might be asking themselves in each of the stages. For example, ‘travel insurance basics’ may be an early awareness stage, ‘what does travel insurance cover’ might be middle of the funnel, and ‘travel insurance [company name] reviews’ could be the decision stage. This will help you align keywords with pieces of content you choose to promote. Before you kick off your paid content distribution, it’s crucial to lay the groundwork for correct measurement and attribution of your promotion efforts. If you get this wrong, you’ll skew your view of the effectiveness of your organic and paid promotions. You might also waste your budget because you deemed a campaign more successful than it actually was. Best way to kick off your paid content distribution is by promoting your cornerstone pieces of content. It is also typically a piece of content that can significantly impact your business from the KPI point of view through email signups, free trials, or paid conversions. Whether it’s a video, a research report, a blog post, or an ultimate guide type of content, paid promotion will place this piece of content in front of an audience that is proven to want it based on their interests and behavior. This, in turn, can spark momentum for organic shares from this specific audience and bring you new target readers long after your paid promotion ended. You might be asking yourself: What happens with all the other, non-foundational pieces of content? At this stage, your best content is being amplified to your perfectly defined audience, and it’s time to make the most out of your remaining bank of content. After one to two weeks, dive into your analytics on each of the platforms and see which posts have performed the best. Additionally, look at your Google Analytics through the Landing Page report to see which pieces of content and traffic source made the strongest impact on your conversions and bottom line. Once you determine your highest performing social posts—those that drove the most valuable audience reactions—you can start putting some spend behind them. 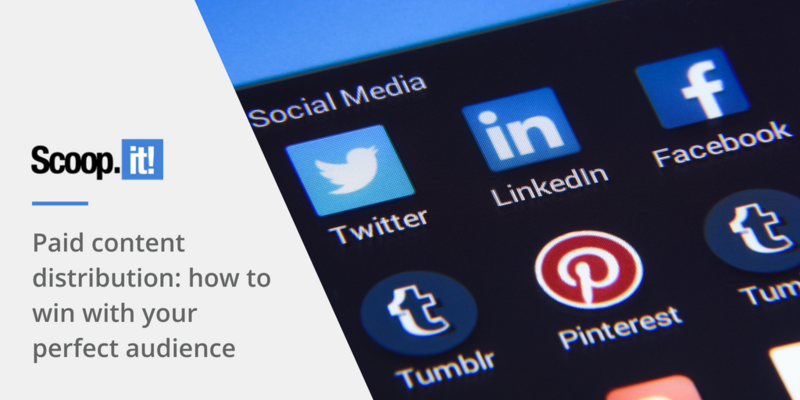 All three social platforms let you directly promote the social post in question, but you can also create a whole new campaign from them if you want to. You no longer need to fear you’ve wasted time creating a piece of content. Pushing your best pieces of content will help you reach a critical audience that will help you move your message to your perfect readers, subscribers, and eventual buyers. On top of that, organically testing and then pushing your other pieces of content will show you which content ideas resonated with your target audience more than others and inform your future content strategy and planning.